Desperate to escape San Francisco and the case that had derailed her life, Detective Jane Harper thought she’d find peace in Hope’s Peak, North Carolina. Instead, she found a small town plagued by a series of unsolved murders stretching back decades. She also found Ida Lane, a woman who was not only determined to confront the ghosts of her past, but who had the astounding ability to lay her hands on the dead and witness their last moments. 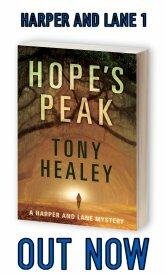 Using their unique skills, Harper and Lane work together in a haunting police procedural with a supernatural twist . . . Beyond the shores of Hope’s Peak, North Carolina, evil waits as his next victim approaches. 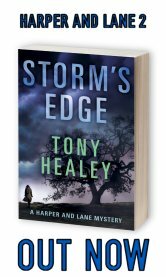 And don’t miss the explosive sequel, STORM’S EDGE! In the midst of an internal investigation, the police department is thrown into chaos when Captain Frank Morelli is gunned down on his own front lawn. Detective Jane Harper suspects that someone is tying up loose ends—a conviction that only grows stronger when she witnesses the execution of another officer in broad daylight. With no one else to turn to, Jane seeks the help of psychic Ida Lane. Ida thought she’d finally find peace after the death of the man who murdered her mother. But as the town emerges from the shadow cast by that serial killer, they discover that there is more than one monster hiding in the darkness. Desperate to lay her ghosts to rest, Ida puts her extraordinary skills to the test. Together, she and Jane must uncover the truth…or be permanently silenced like the rest.